Discussion in 'E30 (1984-1993)' started by Apex000, May 18, 2010. A quick shot of mine from this weekends SFR Auto Cross at great America. She is not pretty but she runs great. Currently own two. One 89 325i coupe that I got from my father after it was wrecked, and a recently acquired 91 318ic that was rescued from the local PickNPull. (I guess I'm a sucker for abused e30s). Couple pics with suspension installed. Not too low, and stiff enough but still dd-able. Since the transmission in my E32 decided to no longer operate normally I will be in the market for a nice E30, probably the first of next year. Im gonna keep the ol 740il and fix it back up but in the interim I want a nice clean E30 that can take some light track use. Knowing me it'll be a full blown racer before long but light track use is the plan anyways. 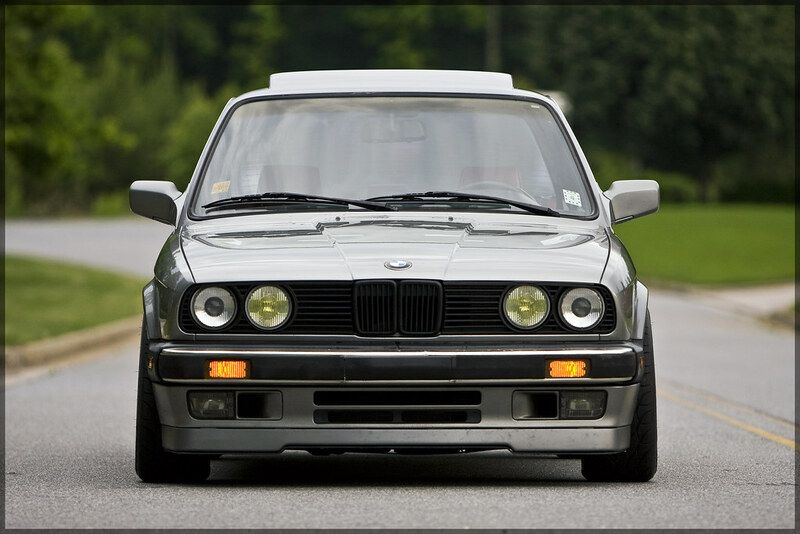 Nice E30's you guys and or girls have posted. 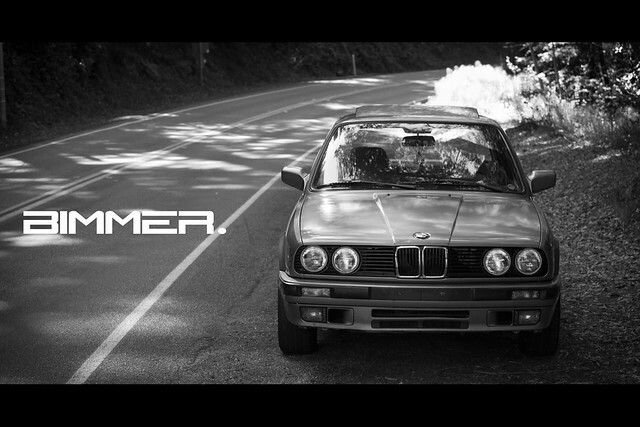 Jeanm your E30 looks fantastic!!!!! I really like your suspension settings. Just Perfect! Do you have the center caps for your Hartge wheels? I understand they are NLA. mdy..... Wow great car you have there!!!!! Don't sell it! You will only regret it!!!! I must ask, what size tires are you running and do you have any rubbing issues? Well I just got an offer almost at asking price... so it will probably be moving to California. I do love the car though. Yes, great looking car, very nice! But I gotta ask, _what_ are those camber settings?? RF looks like -3ÃƒÆ’Ã†â€™ÃƒÂ¢Ã¢â€šÂ¬Ã…Â¡ÃƒÆ’Ã¢â‚¬Å¡Ãƒâ€šÃ‚Âº, LF looks something like -1/2ÃƒÆ’Ã†â€™ÃƒÂ¢Ã¢â€šÂ¬Ã…Â¡ÃƒÆ’Ã¢â‚¬Å¡Ãƒâ€šÃ‚Âº to -1ÃƒÆ’Ã†â€™ÃƒÂ¢Ã¢â€šÂ¬Ã…Â¡ÃƒÆ’Ã¢â‚¬Å¡Ãƒâ€šÃ‚Âº, and the LR looks like, oh... -3.5ÃƒÆ’Ã†â€™ÃƒÂ¢Ã¢â€šÂ¬Ã…Â¡ÃƒÆ’Ã¢â‚¬Å¡Ãƒâ€šÃ‚Âº, or more??? Awesome! Maybe next time I need tires I will move up to 225s!! 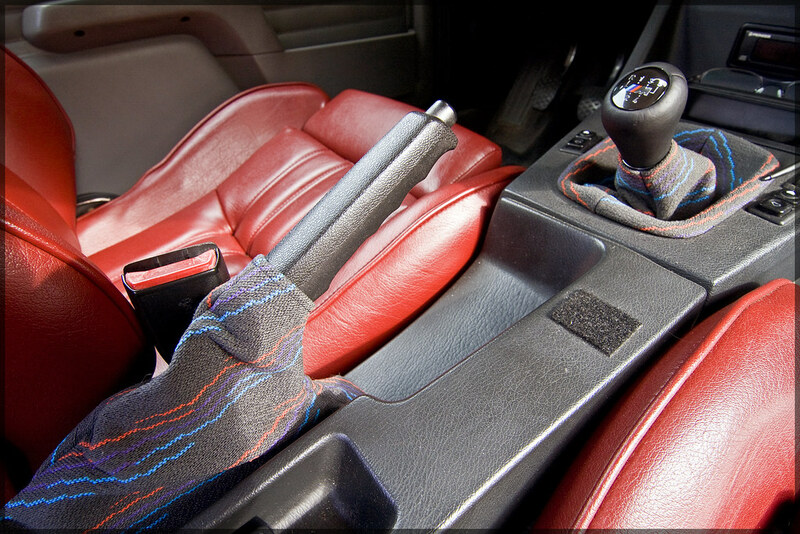 BTW that is what I am running on my M3, but didn't know you could squeeze them into a normal E30. Just didn't have wheels straight. They are ~ -3 both sides. Rear -2.2ish. No adjustment in the rear but when you lower it the camber gets added in for the rear. Yup. Could fit 235s if I wanted to roll the fenders dead flat. Hi friends! Pictures of my e30. Wow who knew there were so many of us here with E30 318i's.!!! I have also put 325 brakes on all four corners and H&R springs & swaybars with bilsteins. I just got a front strut brace by Sparco. I even looked yet, but I am hopping it fits without too much trouble. @tifreak: Actually I did very little to the engine. After I killed the first one, I bought a remanufactured engine from Bavarian Engine Exchange with the reground cam. That plus an intake and open exhaust were the extent of my engine mods. I wanted reliability over all out power. Almost all my mods were to the body/chassis/suspension. I wanted the car to handle really well, then I was going to tackle the engine, but I sold it before I got that far. P.S. I almost forgot, I did have the intake polished by Extrude Hone. 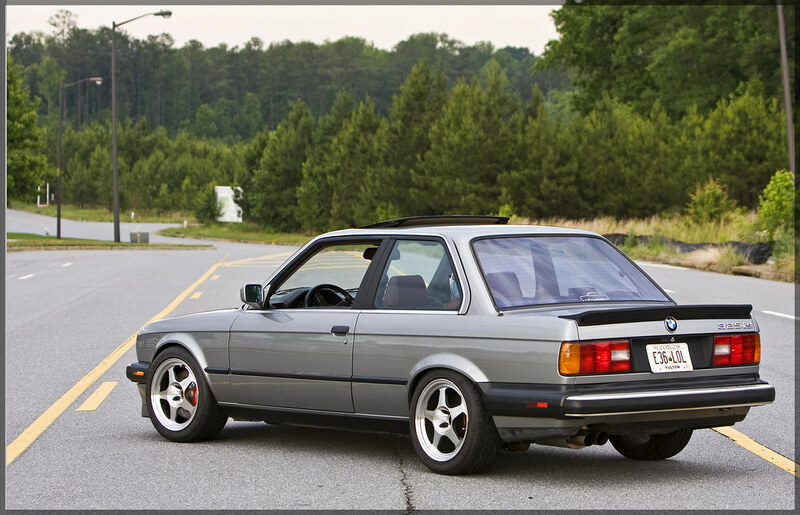 I'm glad to hear there are others keeping the e30 faith.